Time is precious, are you using it wisely? Timelines helps you make the best use of your time. Timelines is an iPhone app that lets you track your time visually on an interactive timeline. With the clear picture of where your time is going, you’ll be able to improve over time. Create a timeline for each project or area that you want to measure. Then use timers to keep track of what you’re doing. You can also add events retrospectively and adjust their times. Just raise your phone, swipe left and then tap any timer to start it. You can also tap & hold a timer to edit it. With Statistics mode and the interactive timeline, you can quickly scale from the big picture overview down to a single day. 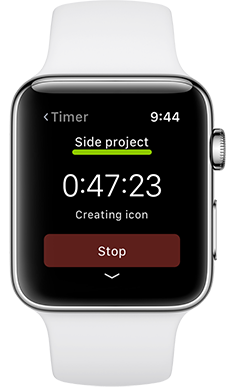 With Timelines for Apple Watch, you can control timers without pulling your phone out of your pocket. 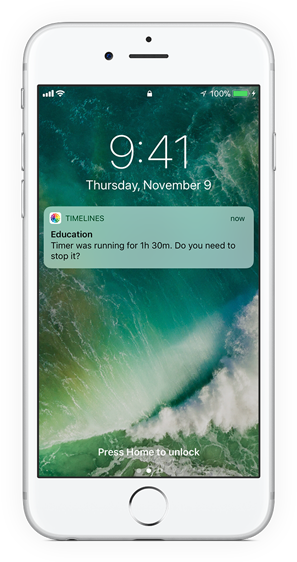 With highly customizable Reminders, you have the option to get notified at just the right time to start or stop a timer. You can optionally assign names to tracked blocks of time within a timeline and then see a breakdown of them. 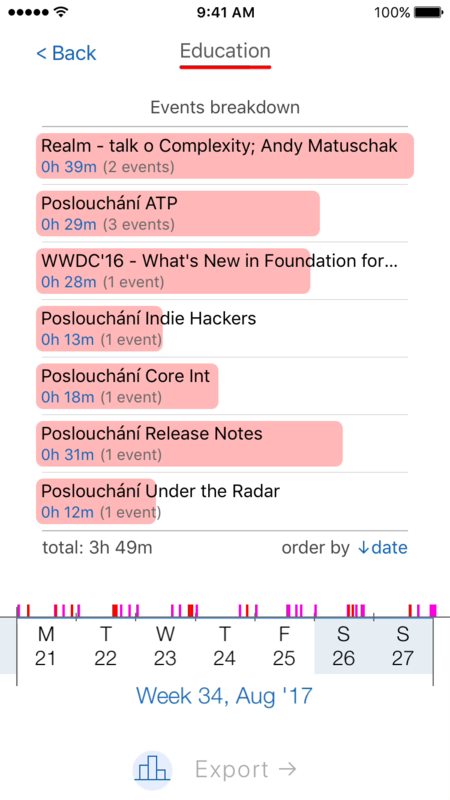 It's very easy to use and visualizes the collected data in a meaningful way that gives me a realistic view of how I'm spending my time and also helps me stay motivated. Timelines has, in just a few days, helped me curtail some undesirable habits. I look forward to making further progress and salute the maker. Awesome idea! 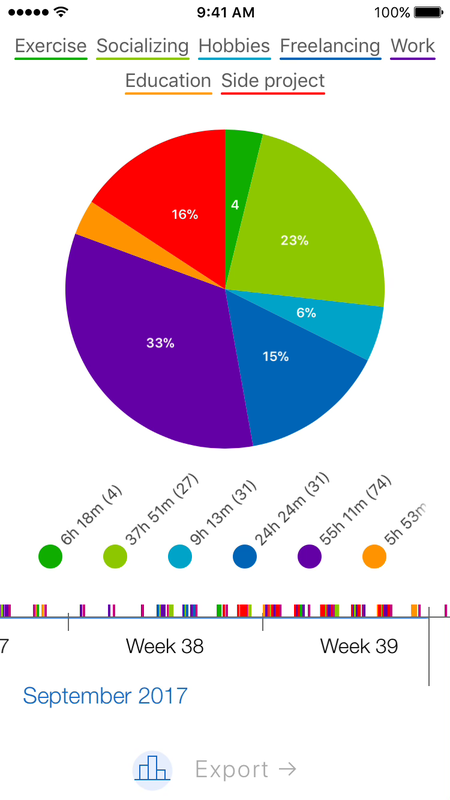 I've tried numerous other time tracking apps and methods for finding where my days go - nothing even comes close to this. I honestly believe that if I had this app 5 years ago my life would be different. Join thousands of people who are already using Timelines to become more productive and lead more fulfilled lives.